This blog will be moving over to Of Frost and Starry Nights as I move into a new stage of my life. Over the next few weeks, I’ll be moving posts that I want to keep from this blog and all new posts will be posted there. I haven’t been posting to this blog for the past several weeks mostly because things have been happening in my life. Good things, but still very stressful things. Such as having to find an apartment and move within a month, which is admittedly very short notice. On the surface, when I got the news I had to move out by the end of May (due to a change in landlord and our contract not being extended), it seemed like a horrible thing, but it was also exactly what I wanted: to get out of the small town I was living in and move to the city I was working in. Funnily enough, about a month before getting the news, I had made a promise to Veles in hopes that it would help my life to move forward because I was having a moment of desperation. What I promised was to abstain from romantic relationships for a year, though at the time it didn’t seem a hard thing to give up as I felt like my single status wasn’t likely to change either way (I still feel that way, but as I’ve learned in the last two months, things can change very quickly). As having such a relationship is an important thing for me, it’s a bit of a sacrifice as well. But I did get what I wanted. I got out of the small town. And I now am in my first apartment, finally living on my own. It did very much go up to the last minute, only getting approved for the apartment the Wednesday before the weekend I wanted to move, but everything worked out. I even had the unexpected luck of having two job interviews that same week and scheduled a third, especially considering that I’ll need a job that pays me better now that I’m living on my own. But hey at least my commute is about a half hour instead of the previous two. During this whole stressful period, I prayed to both Veles and Mara (who I’ve started honoring in the last few months as inspired by my friend Jack who has been working with her for some time) and I am inclined to think they both helped. Both now have places in my home, Veles in my main home and Mara in my kitchen where she rules the hearth. Hopefully now that I’m on my own and in my own space, both my devotional and magical practices will only continue to grow. 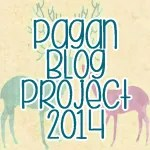 I will also hopefully pick up posting for the pagan blog project again, though I am not sure if I will be able to catch up on the posts I’ve missed. I was first introduced to the idea of ghost stories being appropriate to tell around the winter holidays when I read A Christmas Carol by Charles Dickens and was informed that in Victorian times, it was tradition to share ghost stories at Christmas. Being a person who loved ghost stories and other spooky tales, I found this idea fascinating and it’s stuck in my head since. And lately, I’ve been wanting to make this a Yule tradition for myself, especially considering my leanings towards gods associated with the underworld. It also makes sense because to me and many other pagans, particularly those who work within European traditions, winter is a season associated with the dead and is considered generally a liminal time when the borders between the worlds are weak. Veles, the god I work with the most, is also associated with the dead, being known to send them out and had winter festivals in his honor. Also the Wild Hunt is known to ride at this time. To some people it might seem like telling stories of ghosts and other supernatural beings as a bad idea at this time, but there’s something that appeals to me about it. In a sense, it’s reminding others why we gather against the darkness in our warm lit homes and honestly, it’s also a little bit fun to tell scary stories and to be scared by them. Why else would we have haunted houses and the tradition of telling these stories at camps? Yule and other winter holidays are just another possible time to tell these stories and as someone to whom storytelling and fiction is an important aspect to their path, both as a way to pass on lessons and build community, I think it is something I’d definitely like to include in my celebrations. G is for Going Forward? A lot of the time, I feel like I’m not making a lot of progress towards my goals. After all, I’m still not yet able to move out on my own, which I need to do for my mental health, and I’m still dealing with a lot of emotional fall out from stuff that’s happened a year and a half ago or more. I feel like I should be further along and so I lose sight of what I have gained. I’ve done a lot in the past year. A god offered to be my patron and I accepted. I’ve held a job with full-time hours for seven months and my attendance has been fairly good, far better than what I had feared. I even kept at it during the cold winter months when my depression got stronger. I’ve also started to take care of myself better, finally doing basic hygiene on a regular basis, something which I had struggled with for years prior. I even get myself hair cuts every two months or so. I’m not actually sure how I’ve managed all of this. Part of it, I think, was the decision to try and learn to love myself and work on myself. But I also think the other part of it might have to do with my work with my patron, Veles. In a way, having faith in him and being able to pray and talk to him just makes things easier. It makes me feel a little less lonely than I was before. Also, it’s a bit hard to practice magic, like he wants me to, if I’m not willing to also work on myself and create the routines and work habits that will help me figure out a practice. Perhaps, it’s a bit slower than just jumping into doing magic, but I need that routine and structure to be able to study and practice. My life desperately needs organizing and while there is certainly a part of me that enjoys doing that, my depression makes it hard for me to want to do it. I just end up looking at whatever task I want to take on and feel overwhelmed. But I am making slow progress to that point. If I can slowly build in self-care into my life, then I can do the same for organizing my notes and the place I live in. Perhaps it’s harder because I don’t get much chance to be at home and my depression is worse here because of my living situation (which is partly why I need to move out – I’ll both be closer to work and probably more likely to want to work on things). I guess that’s why I tend to forget the progress I have made in the last year because I just end up looking at all the work that I still need to do and feel like I’ve made no progress at all. However, I suspect that there will always be more work to do, even after I get my life organized. And I think in the end, I need to learn to not let it overwhelm me anymore and decide to accept the challenge that life’s giving me. That’s how we keep moving forward after all. Keep making goals. Keep doing things. Keep planning. Because change happens regardless, even if we don’t want it. Fear is one of those things that I constantly deal with while I’m figuring out my path. Fear that I’m doing things wrong, fear of myself and the fear that I’m just making everything up. It makes it hard to speak up in public sometimes, which is why writing in this blog is an act of courage for me. I know I’m not doing things the conventional way, as my spirituality is innately tied with my writing, which is admittedly fiction. But it’s how I explore the concepts that I’ve come across in my own work on my path, whether I read about them in books or have been given to me by the gods and spirits I work with and I’m not going to apologize for that. In the end though, it’s really my fear of making mistakes that’s tripping me up. I know full well that I have much left to learn and that some of the things I think I know now may be wrong. As a perfectionist, it can make it very hard for me to put anything into practice which tends to keep me trapped in the realm of books because of the idea that I have to do it right the first time. That mistakes are unforgivable and that the gods will be harsh with me if I make one tiny mistake. Yet, my god is a trickster. Some people would think this would mean that he would be out to trick me and possibly take advantage of me, but that doesn’t seem to be his particular nature. His trickery is more of a challenge, something that forces me out of my old patterns of thinking and forces me to act rather than to stay paralyzed by fear. I enjoy being clever myself and having someone who encourages my cleverness and my yearning for experimentation is a good match for me. And I need to be pushed to do that. For a good amount of my life, I’ve haven’t been pushed to be the best person I could be. I was allowed to skate by on my intelligence and my cleverness, but not particularly challenged. Perhaps it was out of the fear that I could not handle it due to my Aspergers diagnosis or because the people around me just didn’t see a reason for it, but I feel woefully unprepared for life because of it. It’s frightening, doing things that are new and challenging. But I’ve promised my patron that I would make my life better. There are those who think that religion shouldn’t be used for self-improvement, but the thing is, where I am right now, I cannot give to my patron and the other gods and spirits I work with as much as I would like. In helping me get better and have a better foundation, they are also enabling me to work with them better in the future. My mental and physical well-being and security is what I should get from them if I want to work for and with them. It’s a relationship of exchanges. I cannot give them what I don’t have and so they help me so I have it to give. And part of that involves overcoming my fear of getting it wrong. Which means for now I have to trust in my UPG and my communications and do as well as research and read. Maybe it will take me longer to get the research done, but I am also moving forward in my life at the same time. My path is just that. A path. A journey. And those always require some kind of courage because the unknown is frightening. The first step is to acknowledge that and face those fears. Also, being pushed by my patron and working with him in an agreed direction seems like a lot better option than letting life just do whatever it wants as I had been allowing before. For even if I don’t want to change, the world does anyways and I’d rather be prepared instead. 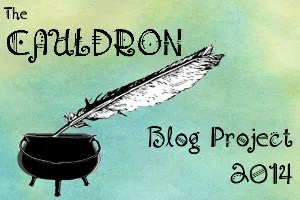 This post also is my much belated February post for the The Cauldron Pagan Blog Project. One of the things that I’ve been struggling with a lot over the last year or so was the lack of a romantic partner in my life, though in all honesty, most of the pain I was dealing with was the painful realization that since I was sixteen, I had been emotionally manipulated by more than one person. This realization made me feel like I was unlovable, that I would only attract people who were bad for me and that I was doomed to be alone. It didn’t help that the last person who did this to me also basically promised me something that I so desperately wanted, which was a offline social life. It was a very bad blow and I ended up retreating into my writing that November as I did NaNoWriMo and came up with a story that ended up influencing my spiritual life in such a way that I now consider it to be a major influence. And I’ve made progress in processing all the things that’s happened to me since high school. I’m still healing, yes – I am not sure if I ever will be done – but I am better than I was before. Especially considering that just a few months ago, I would have been too afraid to write the previous paragraph. And I’ve realized recently that while I still do not have a companion to spend my life with and likely will not have one for the foreseeable future (for I am wary to trust that much again), I do have friends who I can show love to and be loved by. Yes, it’s not the same as romantic love, but it’s still a type of love that means a lot to me because they stayed even though my hard times. They may be far away and interacted with online, but they still listen to me and give me trustworthy advice and I can share both my joys and worries with them. I haven’t been appreciating them enough in all honesty and I feel bad for that. Being stuck in a hard place, afraid to talk and trust can do that, especially when you struggle with both anxiety and depression. It is not easy for me to want to reach out, especially considering that I’ve had a number of people manipulate me under the guise of being my friend (only a few had gone the romantic partner route). But the friends I have, the ones I know I can trust, are a source of strength for me. And it’s nice to know that I am still cared about. One of my goals for the next year is to focus on fostering my friendships instead of looking for a romantic partner. I don’t think I even have the energy to build that kind of relationship as I struggle to build my own life and learn to take care of myself, but I can still have friendships and develop those. They are the ones who can give me advice on how to be an adult and learn to navigate the world, teaching me the lessons that my parents somehow never taught me. They can direct me to resources and give me tips on how things work. And in all honesty, that’s how they show their love and I wish I had seen that earlier. But I also had to work through a lot of painful things to get to this point and to learn how to ask for help, which involves a lot of trust on my part. Learning how to trust again is also one of the things that my patron wants me to learn, even if he is also teaching me to be more careful with whom I trust with my deeper secrets at the same time. I’ve learned to trust him, but more importantly, I’m learning to trust people in this world again and figure out who is worthy of that trust. Love is about trust, after all.